Recently I was following a vehicle sporting a “Remember Benghazi” bumper sticker and it reminded me how, even two years after the attack, we remain divided on exactly what happened and who was to blame. Certainly someone must be, and depending on your politics it was either an unfortunate tragedy or an impeachable offense. There are accounts that would seem to indicate both President Obama and then Secretary of State Clinton actively hindered US military intervention in the embassy attack by issuing a “stand down” order and have never been held properly accountable. Others have claimed that Benghazi has been blown out of proportion and cite multiple fatal embassy attacks under George W. Bush’s presidency as proof that this incident is a political “witch hunt” by detractors of the current administration. 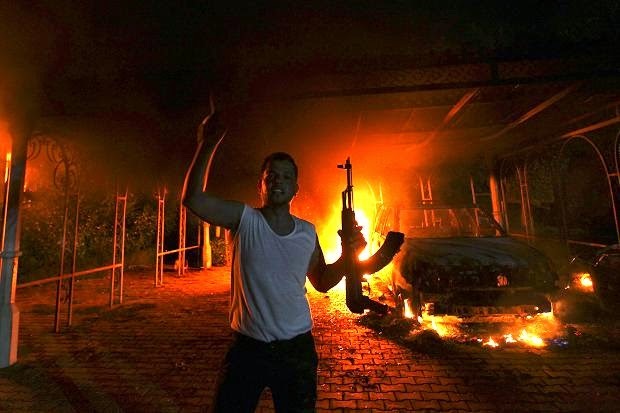 There was no “stand down” order issued to U.S. military personnel in Tripoli who sought to join the fight in Benghazi. However, because official reviews after the attacks were not sufficiently comprehensive, there was confusion about the roles and responsibilities of these individuals. HAM: Well, as I think back about that event as it was unfolding, we did respond. And as I have, and as others have stated to the accountability review board, to a number of congressional groups both in public and in private hearings, forces were put into motion. But the nature of the mission changed over time and we certainly were working against very significant time-distance factors. HAM: That's right. Mostly Europe-based and you're talking a matter of several hours to get to Libya during that timeframe in a situation that, at least the initial attack, began and then largely subsided over about an hour. So not much time to respond very quickly. But the good news is, I think, after - one of the lessons learned from the attacks on Benghazi was to provide more forces to the current commander of Africa command and have a better response capability for instances in the future. Assuming that the cable was signed by Ambassador Stevens and addressed to the Secretary of State (as would have been protocol) it is difficult, if not impossible, to prove that Stevens even drafted the cable or that Hillary Clinton was aware of its existence since there are over 60,000 State Department employees around the world generating millions of cables annually. This phenomenon is somewhat akin to every check being cut by a large company bearing the “signature” of the CEO. In most cases the checks are cut and issued by members of a support staff who utilize a stamp to affix the busy executive’s moniker to the document on his behalf. In regard to the embassy attacks under George W. Bush, there are similarities and key differences. While there were around 13 attacks on US diplomatic consulates and embassies around the world resulting in at least 60 fatalities during the tenure of the previous commander and chief, the majority of these attacks took place outside the facility and the fatalities were by and large local contractors and not State Department employees. We have not had an actual ambassador killed in the line of duty since the 1970’s which does qualify the Benghazi incident as both unique and troubling. As best I can tell, the already sub-optimal security apparatus in Libya was further crippled by the inefficient bureaucracy of the US State Department. Given the deteriorating situation in Libya combined with the significance of the date, there should have been much tighter security surrounding the diplomatic compound in Benghazi. At the very least, our ambassadors and diplomats should be provided with security proportional to the threats they face and it seems readily apparent that was not the case here. It is also fairly clear that the Obama administration worked tirelessly to portray themselves in a more positive light than perhaps they deserved (this is known as "politics"). Much of the outcry is based upon the fact that "no one has been fired" over the incident, but even amongst the disenchanted there does not seem to be a consensus. Was it Hillary Clinton's fault because she was acting Secretary of State at the time? Was it General Ham's fault because the armed forces tasked with protecting with those that died were under his command? Was it the Regional Security Officer's fault for failing to follow-up or allow continued support from the special security team? Perhaps it was ultimately President Obama's fault because all of the aforementioned government employees served at his discretion. All I can say for sure is that it is always easier to assign blame in hindsight.